Our guide to the best edible plants for kids! Getting started with kids is actually a lot easier than it sounds, especially if your kids like D.I.Y projects. The best part about growing edible plants for kids is that you can do it in pots or in a sunny spot in your garden. Keep your plant choices small, for example, go for a cherry tomato instead of a normal sized one and I highly recommend you get each of your children their own harvest basket. They get very antsy about their harvesting. The most important thing is to make sure the ‘kids garden’ is cared for and before long you will be watching your kids eat straight from a plant instead of going to the cupboard for a biscuit or chocolate bar. The reality is we live in a world that is very processed so taking the time to teach our kids the basics about where real food comes from, is pretty amazing don’t you think? I can tell you from experience that it’s an awesome feeling when you see your kids munching on a snow pea or walking around with a hand-full of tomatoes and they haven’t given it a second thought. It’s just normal. I want to be totally honest with you though, I wish my kids did this more often, but I’m a very realistic mum. I think if you introduce the concept of growing real food at a young age, it helps them appreciate food in its true form, and that’s all we can ask of ourselves as parents. Guidance is everything at such an early age. I would have to say that strawberries are definitely a winner at our house. The best thing about strawberries is that you can grow them in hanging baskets or pots as well as a garden bed. Make sure you provide the soil with some compost, manure or blood & bones and give it a good turn through breaking up any clumps of dirt you may come across. Strawberries like a nice sunny position, well-drained soil, and lots of water. To protect the fruit, you can mulch around the plant so that the fruit doesn’t get spoilt. Feed them regularly with a complete fertiliser and pick them when they are almost completely red. Don’t let them ripen completely or you will be fighting with the bugs about who gets the first bite. Creatures who love strawberries, apart from kids, are possums, birds, slugs, and snails. Watch out for disease in strawberries like mould and mildew and treat accordingly. Check out our awesome lunch box smoothie here: How to make lunch boxes fruit smoothie cool! Growng with Kids. It doesn’t get much better! Gardening with kids is about learning, growing, and connecting with each other and with nature. Picking real food straight off the plant. PRICELESS. I still have a priceless moment stuck in my mind of when my kids were harvesting tomatoes and my daughter said: “here’s a ripe red beauty mum”. I love to plant different varieties of cherry tomatoes, so when you use them in a salad it really pops with colour. That’s if they make it to the kitchen at all, my son forgets they go into the basket sometimes and they end up straight in his mouth. With tomatoes, the best thing to do is stagger the planting. Start with one plant, and when it establishes itself and is full of flowers, put the second one in and so on. This way your supply will last a lot longer over the season. Tomatoes need lots of sun, at least 6 hours a day, and love a rich organic soil. Mulch around the base and water regularly. Once your flowers start to bloom, use a seaweed or fish solution to encourage fruit. Cherry tomatoes can also be grown in pots or hanging baskets. If you are growing in the ground you will need to use garden stakes to keep them off the ground or use a tomato trellis. Some creatures who also like cherry tomatoes are birds, possums, aphids, caterpillar’s, fruit fly, and stink bugs. Learn more about garden pests here: 17 garden pests you need to know about now! I’ve heard a mum refer to peas as ‘garden candy’, and it was like music to my ears. wouldn’t it be great if we lived in a world where kids didn’t know what candy was? 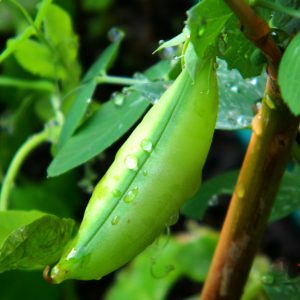 I think the biggest attraction to peas in a pod is that they are perfect for little kids to handle and being able to open the pod adds an element of fun. 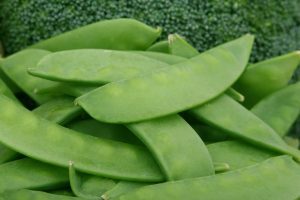 Both peas and snow peas like a well-drained soil, which is rich in compost. Avoid manure as it’s very rich in nitrogen and this can encourage mould. Another good tip to avoid mould is to water from the base only. Peas and snow peas grow in the cooler months, but they don’t like frost, so early Spring can be perfect in this type of climate. They grow quickly and produce a high yield under the right conditions. I know a lot of kids that eat cucumbers & tomatoes cut up as a snack, so this is definitely a great crop for kids to grow. 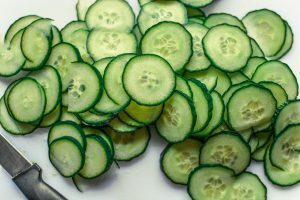 They will need to wear their gloves to harvest, as cucumbers have a spiky exterior, including the plant itself, which is beneficial for protection and they don’t have many predators. Cucumbers love the sun and need a bit of room to sprawl out. My kids are always amazed when they find the cucumber growing from behind the flower. You can grow cucumbers vertically as well, just choose a smaller variety, sturdy frame or vertical space, and watch them go! Packed full of nutrients, these sweet little balls of gold are hours of fun for kids during picking, collecting & consuming. You may not get them to your garden kitchen to make that blueberry pie you were dreaming of, but rest assured they are still going to a good cause (the kids). Blueberry trees can be grown in pots as well as in the ground, and the flowers are simply divine. I’ve heard comments that they are hard to grow, but the fact is that they are pretty simple, they just need a nice sunny spot and an acidic soil. The soil is usually the deal breaker. It is suggested that the soil remains loose to encourage root growth & should be mounded around the base to help with drainage. Mulching will help retain moisture in the soil and protect nutrient deficiency. By using the right fertiliser and watering regularly (be mindful not to overwater), your blueberries will be sweet and perfect for little fingers to collect and eat. Oh and watch out for the birds, they love blueberries! 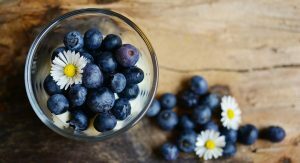 Check out these awesome blueberry recipes to make with kids at Little Peeps Eats. Kids love the underground surprize carrots offer when growing them at home. You never know what shape or size you are going to get until you pull them out! Carrots need lots of sun, and loose soil so they can grow straight down. If during the growing process they hit a rock, this usually results in some oddly shaped carrots. There are lots of different types of carrots, but for baby carrots, you just need to pick them when they are small or if you want big carrots you let them grow. You can easily start carrots from seed, I would strongly suggest seed raising in a sheltered area first, where you can keep your eye on them. Avoid feeding carrots with anything that is nitrogen rich, as you will get lush, fluffy tops and nothing orange underground. You also need just the right amount of water for carrots, for example, if they are too dry they will crack. 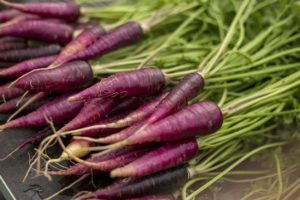 Lastly, carrots can be grown in pots as well as in the ground, you just need to find the right kind and there is a lot to choose from these days. 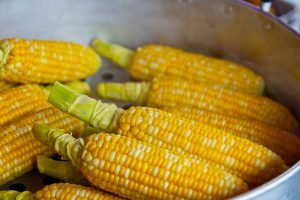 Corn is a very fun and impressive crop to grow, and let’s face it, delicious to eat. You’ll need lots of sun for corn so when you decide on the right position, keep this in mind. They don’t like the wind, and they love to be planted with their friends. This helps with cross-pollination. Make sure your soil is rich in compost and organic matter, and mulch around the base after planting. You can give them a little feed when the flowers are forming but besides this, as long as they have rich soil you don’t really need to tend to them. Just watch out for the rats, mice and birds as these are your main pests. I’ve seen a pack of cockatoos wipe out my corn in about 5 min flat. Your corn should be ready to be picked about 3 weeks after your flowers have come out and when the whispy tassels that hang from the end of the corn have changed to a brown colour. Let’s not forget that it doesn’t need to be in the garden for kids to enjoy growing edibles. Microgreens are one of the best windowsill plants for kids to grow and eat! Microgreens are little edible plants bursting with flavour and nutrition grown from the seeds of vegetables and herbs. They are older than a sprout (root, seed, and shoot) but younger than a full-grown plant. They are approximately 3 to 6cm and harvested (picked) just after the very young first true leaves appear. The stem, cotyledons (seed leaves) and the first set of true leaves are all edible. They are grown from the same seeds to grow full-size plants but using a lot more seeds planted close together. 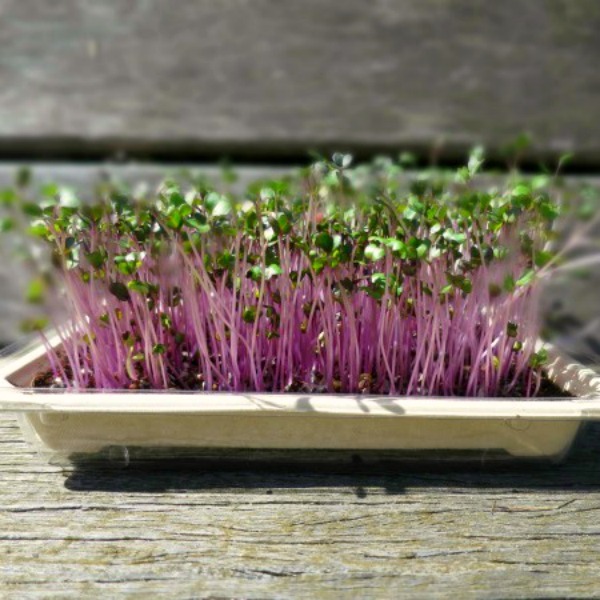 Check out our DIY microgreen project here. 1.Kids Gardening Gloves by gardengloves.com.au. 2.Gardening Projects for Kids 3. Microgreen Kit by My Little Plot. 4. Kids Garden Tool Set by gardengloves.com.au.